In a word, amazingly. After 6 days (counting public galleries last Sunday), 4300 photos, 55 videos, dozens of pages of notes, and hundreds of measurements, we’re tired, happy, and buzzing with new observations and ideas. 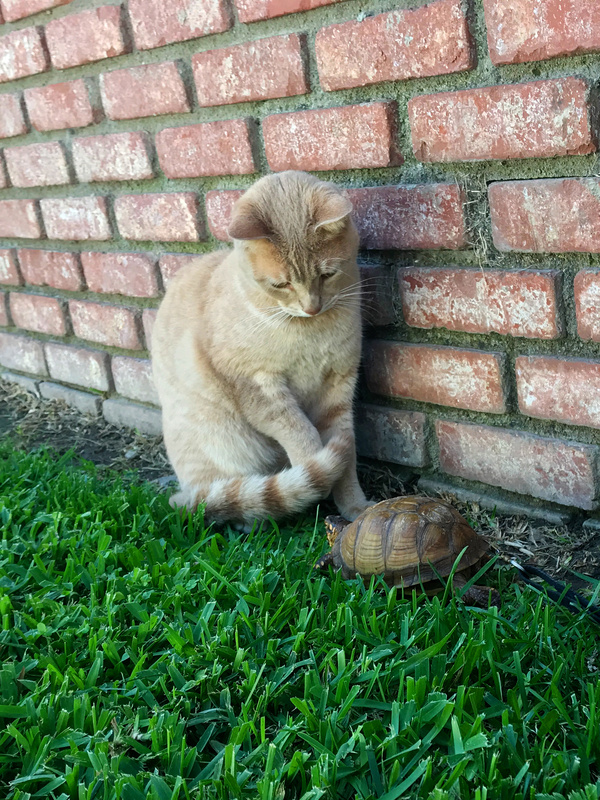 We caught up with some old friends. 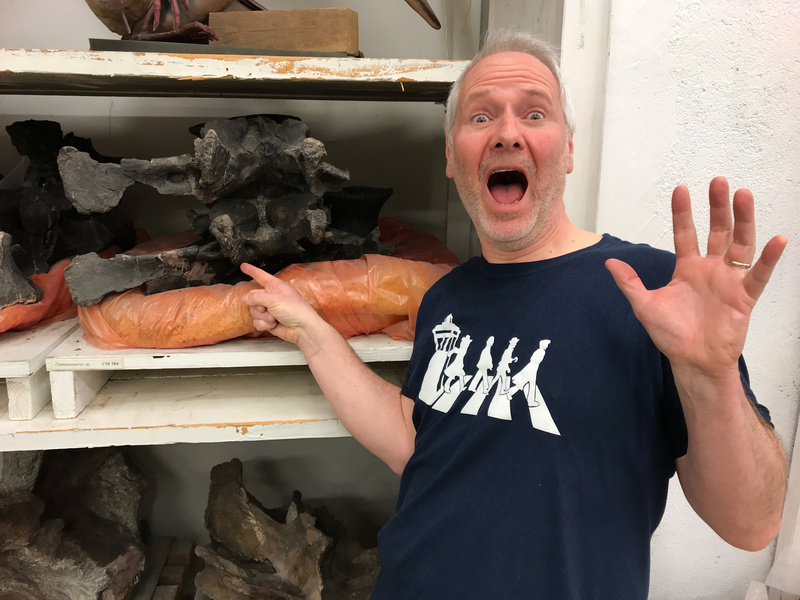 Here Mike is showing an entirely normal and healthy level of excitement about meeting CM 584, a specimen of Camarasaurus from Sheep Creek, Wyoming. You may recognize this view of these dorsals from Figure 9 in our 2013 PeerJ paper. 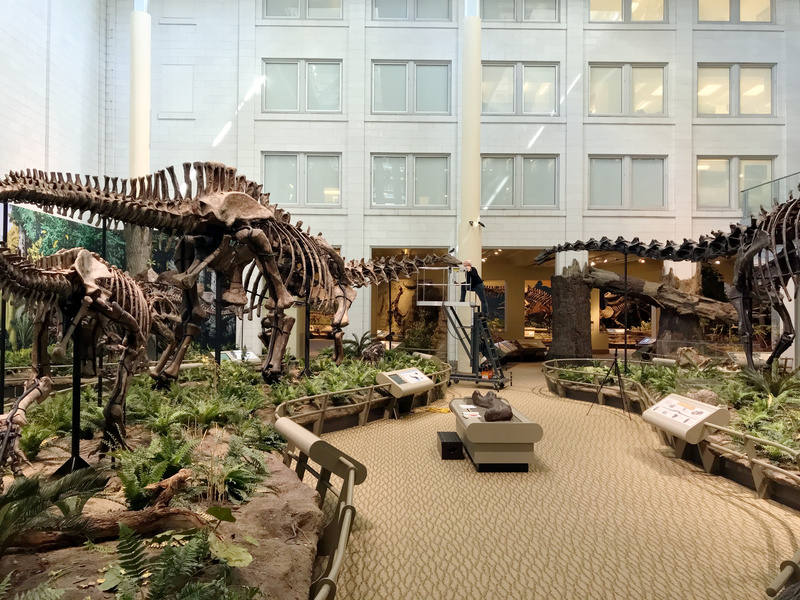 We spent an inordinate amount of time in the public galleries, checking out the mounted skeletons of Apatosaurus and Diplodocus (and Gilmore’s baby Cam, and the two tyrannosaurs, and, and…). I had planned a trip to the Carnegie primarily to have another look at the Haplocanthosaurus holotypes, CM 572 and CM 879. I was also happy for the chance to photograph and measure these vertebrae, CM 36034, which I think have never been formally described or referred to Haplocanthosaurus. As far as I know, other than a brief mention in McIntosh (1981) they have not been published on at all. I’m planning on changing that in the near future, as part of the larger Haplocanthosaurus project that now bestrides my career like a colossus. The real colossus of the trip was CM 555, which we’ve already blogged about a couple of times. Just laying out all of the vertebrae and logging serial changes was hugely useful. Incidentally, in previous posts and some upcoming videos, we’ve referred to this specimen as Brontosaurus excelsus, because McIntosh (1981) said that it might belong to Apatosaurus excelsus. 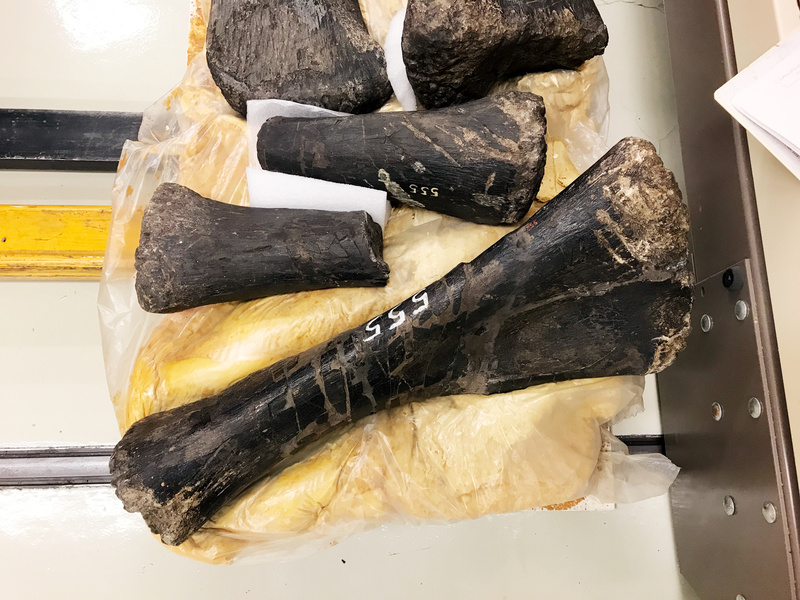 I was so busy measuring and photographing stuff that it wasn’t until Friday that I realized that McIntosh made that call because CM 555 is from the same locality as CM 563, now UWGM 15556, which was long thought to be Apatosaurus excelsus but which is now (i.e., Tschopp et al. 2015) referred to Brontosaurus parvus. So CM 555 is almost certainly B. parvus, not B. excelsus, and in comparing the specimen to Gilmore’s (1936) plates of CM 563, Mike and I thought they were a very good match. 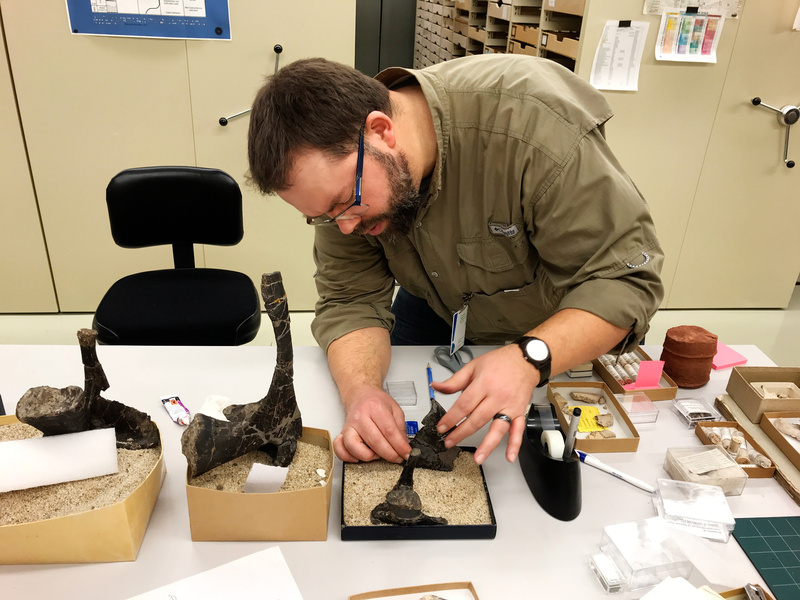 Finding the tray of CM 555 cervical ribs was a huge moment. It added a ton of work to our to-do lists. First we had to match the ribs to their vertebrae. Most of them had field numbers, but some didn’t. Quite a few were broken and needed to be repaired – that’s what I’m doing in the above photo. Then they all had to be measured and photographed. It’s amazing how useful it was to be able to reassociate the vertebrae with their ribs. We only did the full reassembly for c6, in part because it was the most complete and perfect of all of the vertebrae, and in part because we simply ran out of time. 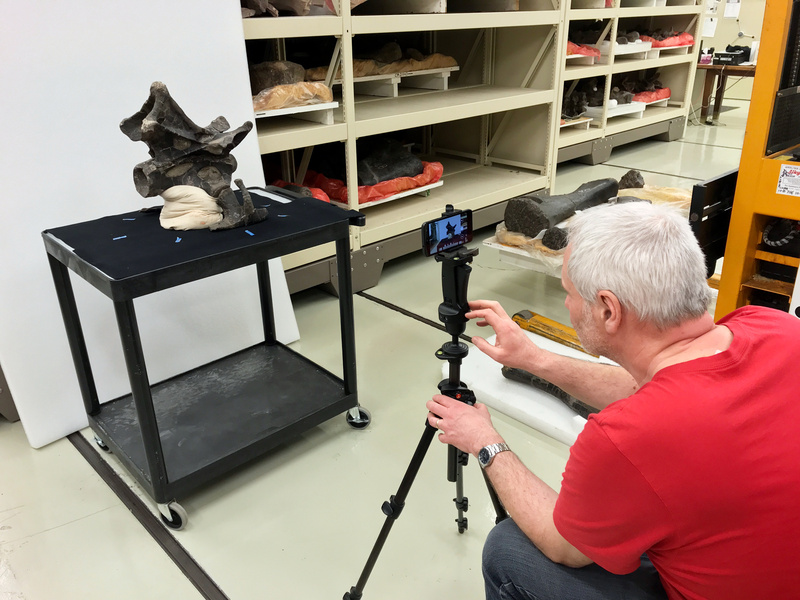 As Mike observed in his recent post, it was stunning how the apatosaurine identity of the specimen snapped into focus as soon as we could see a whole cervical vertebra put back together with all of its bits. We also measured and photographed the limb bones, including the bite marks on the radius (above, in two pieces) and ulna (below, one piece). Those will of course go into the description. And there WILL BE a description. We measured and photographed every element, shot video of many of them, and took pages and pages of notes. Describing even an incomplete sauropod skeleton is a big job, so don’t expect that paper this year, but it will be along in due course. CM 555 may not be the most complete Brontosaurus skeleton in the world, but our ambition is to make it the best-documented. In the meantime, we hopefully left things better documented than they had been. 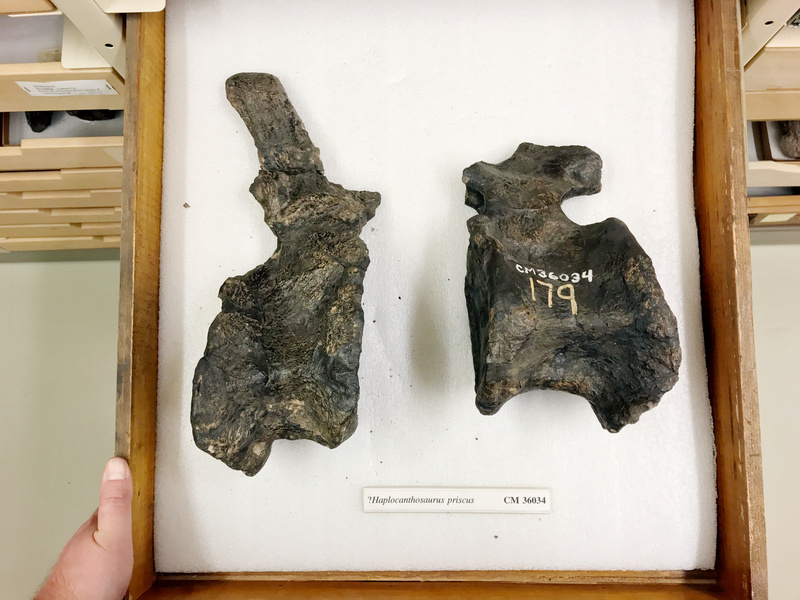 All of the separate bits of the CM 555 vertebrae – the centra, arches, and cervicals ribs – now have the cervical numbers written on in archival ink (with permission from collections manager Amy Henrici, of course), so the next person to look at them can match them up with less faffing about. We have people to thank. 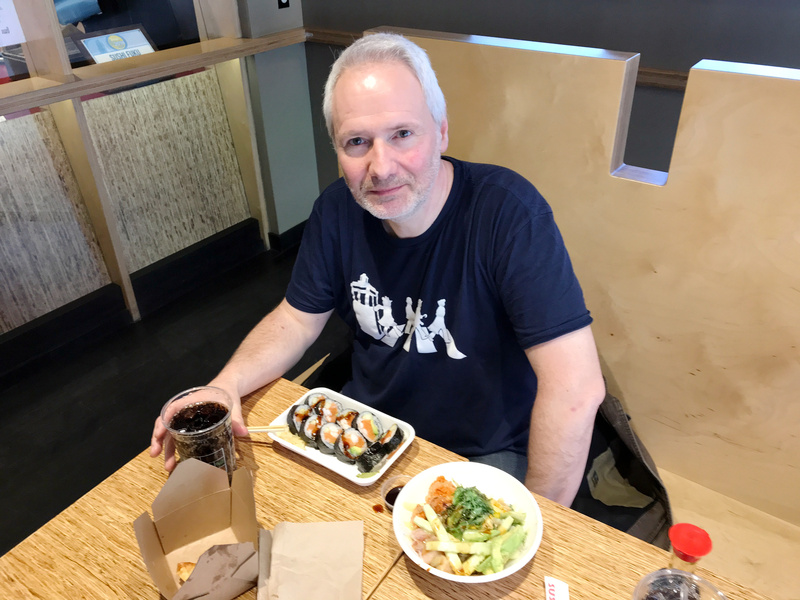 We had lunch almost every day at Sushi Fuku at 120 Oakland Avenue, just a couple of blocks down Forbes Avenue from the museum. We got to know the manager, Jeremy Gest, and his staff, who were unfailingly friendly and helpful, and who kept us running on top-notch food. So we kept going back. If you find yourself in Pittsburgh, check ’em out. Make time for a sandwich at Primanti Bros., too. We owe a huge thanks to Calder Dudgeon, who took us up to the skylight catwalk to get the dorsal-view photos of the mounted skeletons (see this post), and especially to Dan Pickering, who moved pallets in collections using the forklift, and moved the lift around the mounted skeletons on Tuesday. Despite about a million ad hoc requests, he never lost patience with us, and in fact he found lots of little ways to help us get our observations and data faster and with less hassle. Our biggest thanks go to collections manager Amy Henrici, who made the whole week just run smoothly for us. Whatever we needed, she’d find. 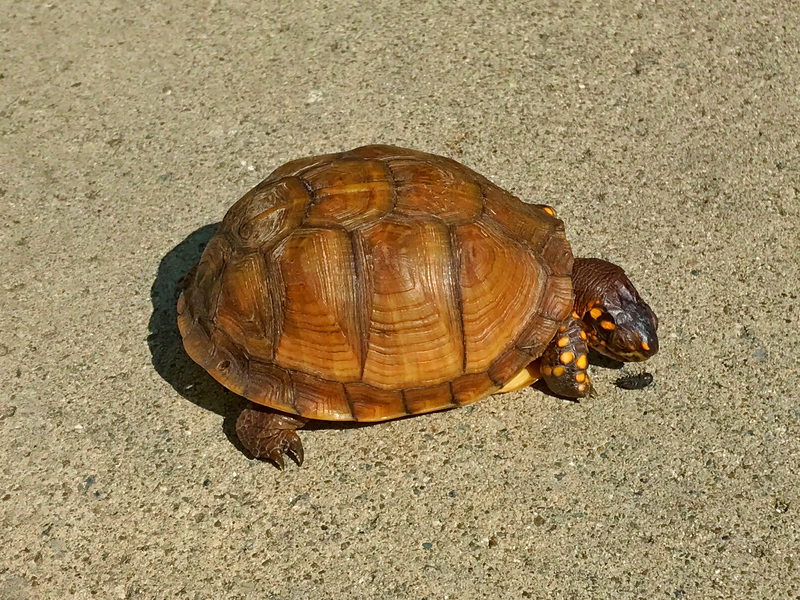 If we needed something moved, or if we needed to get someplace, she’d figure out how to do it. She was always interested, always cheerful, always helpful. I usually can’t sustain that level of positivity for a whole day, much less a week. So thank you, Amy, sincerely. You have a world-class collection. We’re glad it’s in such good hands. What’s next? We’ll be posting about stuff we saw and learned in the Carnegie Museum for a long time, probably. And we have manuscripts to get cranking on, some of which were already gestating and just needed the Carnegie visit to push to completion. As always, watch this space. 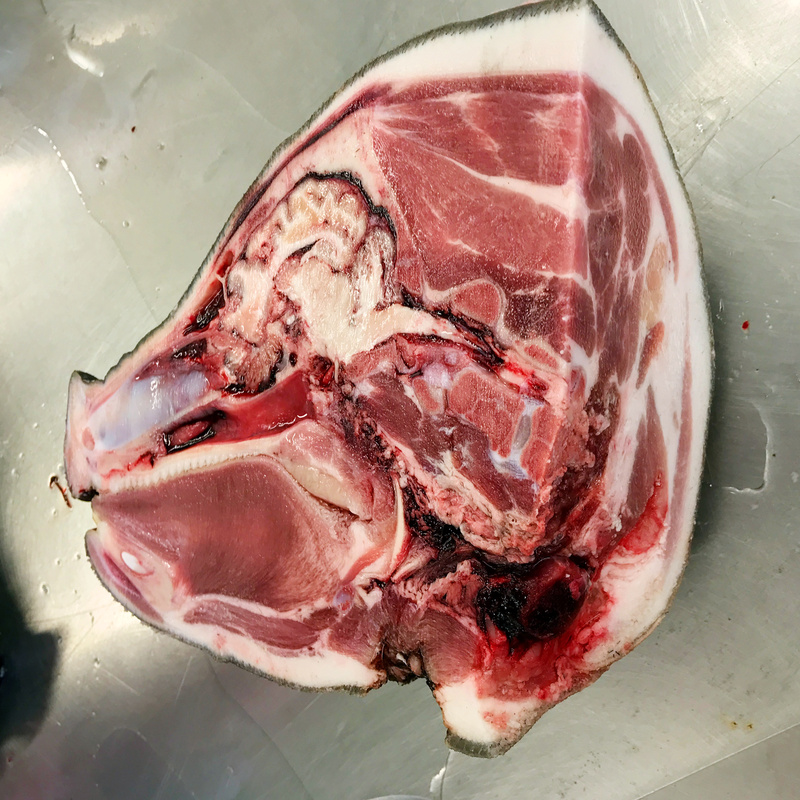 Here’s a frozen pig head being hemisected with a band saw. The head in question, and the other bits we’ll get to later on in this post, both came from Jessie Atterholt’s Thanksgiving pig. As soon as Jessie knew she was cooking a pig for Thanksgiving, she had a plan for the head and the feet: cut ’em in half, skeletonize one half (like Mike did with his pig head), and plastinate the other. Jessie has her own plastination setup and you can see some of her work in her Instagram feed, here. Here’s the freshly hemisected head. 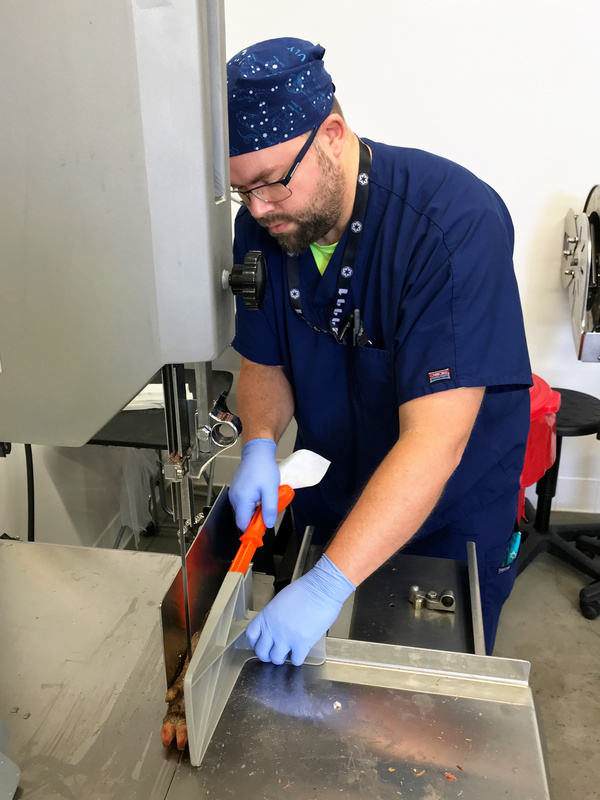 At one time or another, about four of us were involved in checking the alignment of the cut, with the intention of just missing the nasal septum (it can be easier to see some of the internal nasal anatomy if the septum’s all on one side). But we were all wrong–not only did the saw hit the nasal septum dead on, it hemisected the septum itself. Which I guess is the next-best possible outcome. The septum is the big expanse of white cartilage behind the nose and in front of the brain. You have one, too–it separates your left and right nasal cavities–but yours is a lot thinner. Here’s the left half washed off and cleaned up a bit. 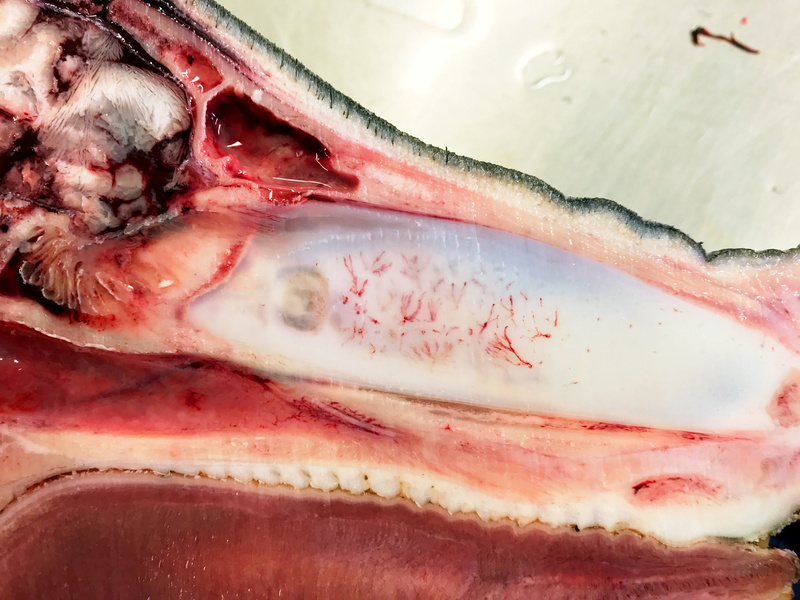 I was completely entranced by the little blood vessels inside the nasal septum, seen here as tiny traceries of red inside the blue-white cartilage. Also notice the frontal sinus above the septum and in front of the brain. Here’s the right half in a postero-medial oblique view. Shown well here are the first two cervical vertebrae, plus part of the third, and the intervertebral joints. 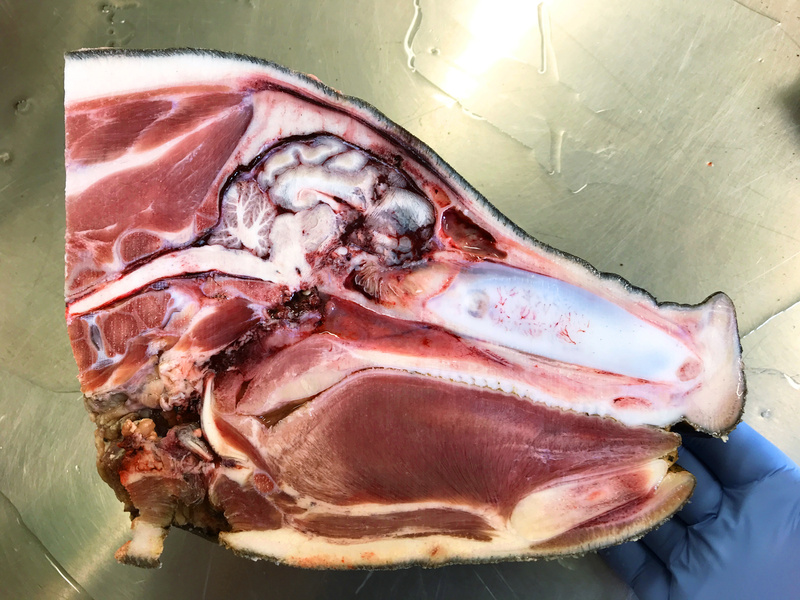 This was a young pig and the remains of growth plates are still visible between the different ossification centers of the vertebrae. If I get inspired (= if I get time) I might do a whole post on that. It wasn’t my pig or my show, but Jessie made me a gift of two pig feet, and I got a little time on the saw. Here I’m using a plastic tool to push one of the pig’s hind feet through the saw. We had been dithering over how best to prep the feet but the lure of the band saw proved irresistable: we hemisected all four. 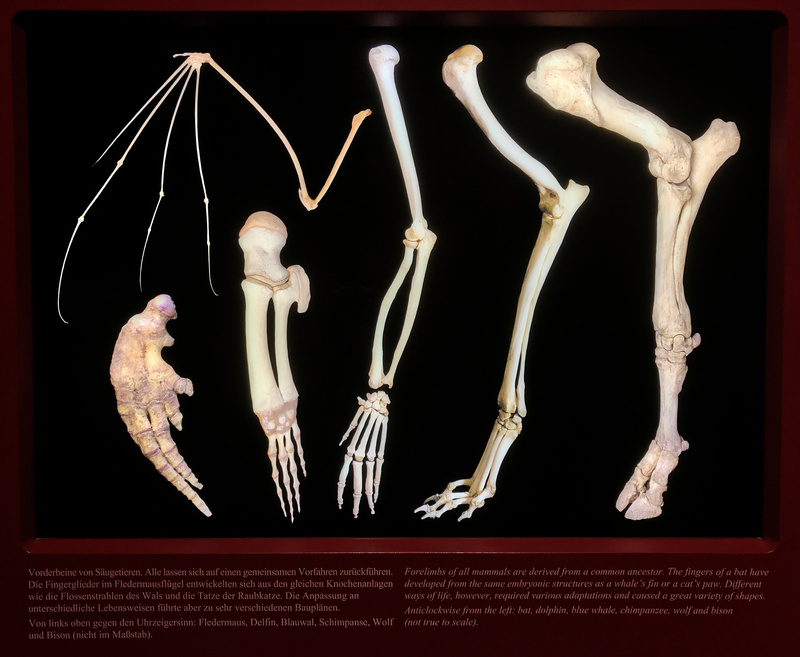 We’re planning to do half skeletonized/half plastinated preps for all of them, a forefoot and a hindfoot set for each of us. 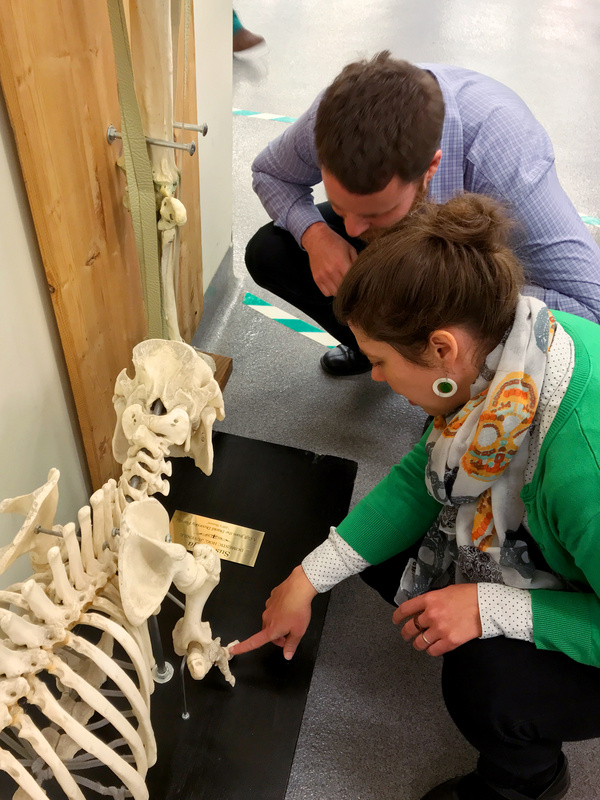 Jessie and I were joined by two other WesternU anatomists, Thierra Nalley and Jeremiah Scott. Here Thierra is explaining to Jeremiah, who works on primate dentition and diet, that mammals have more parts than just teeth. 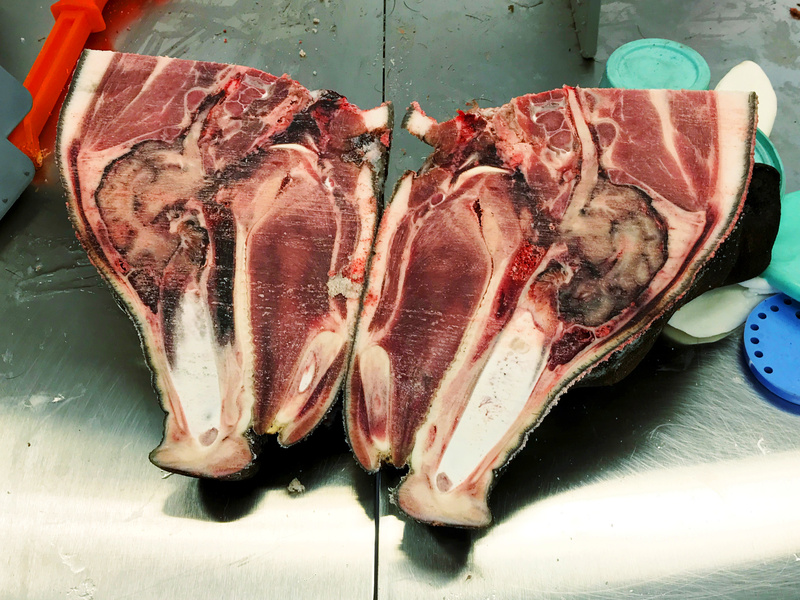 That’s a good segue to this video I shot, in which Thierra gives a quick tour of the hemisected pig head. 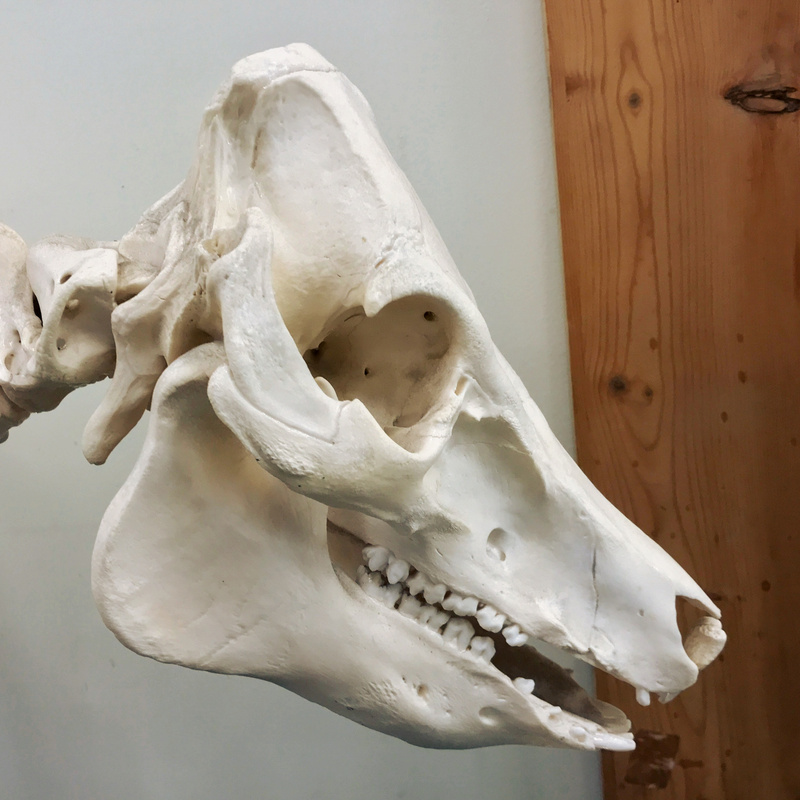 All four of us have just come off of teaching human head and neck anatomy, so it was cool to see in another mammal the same structures we’ve just been dissecting in humans. 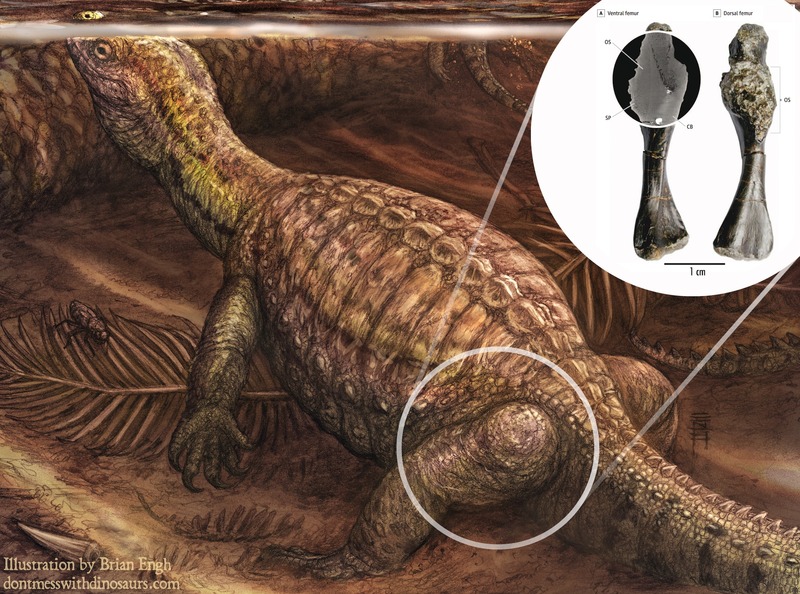 Darren discusses and illustrates the prenasal bone in this Tetrapod Zoology post. 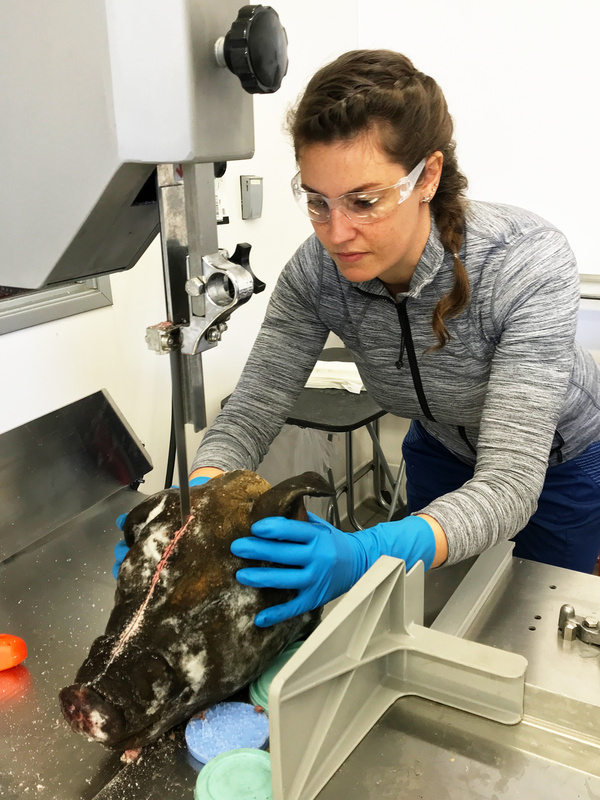 Parting shots: many thanks to Ken Noriega and Tony Marino of WesternU’s College of Veterinary Medicine for their guidance, assistance, and expertise. 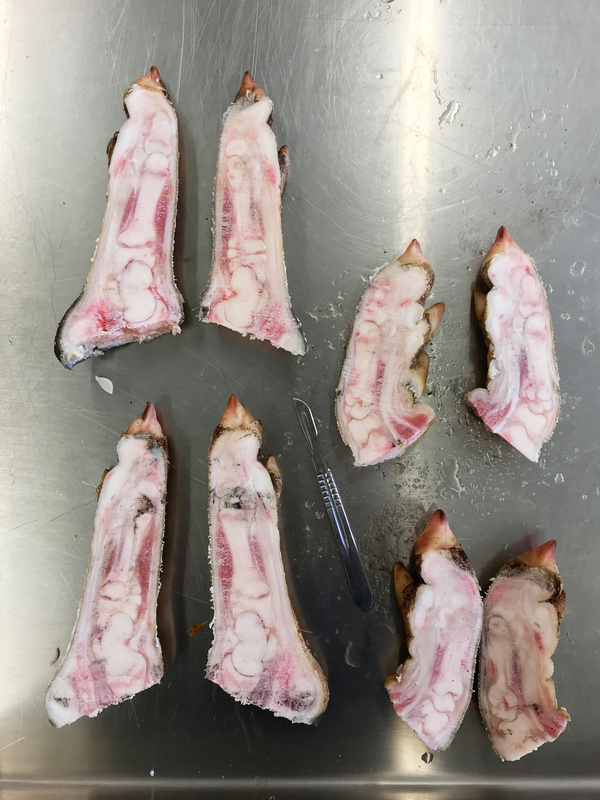 Jessie covered this dissection as an Instagram story, here–I believe you have to be signed in to see it. Update: Jessie added a regular stream post, with lots of features labeled, here. I’ll probably have more to say about this pig and its bits in the future. Stay tuned! 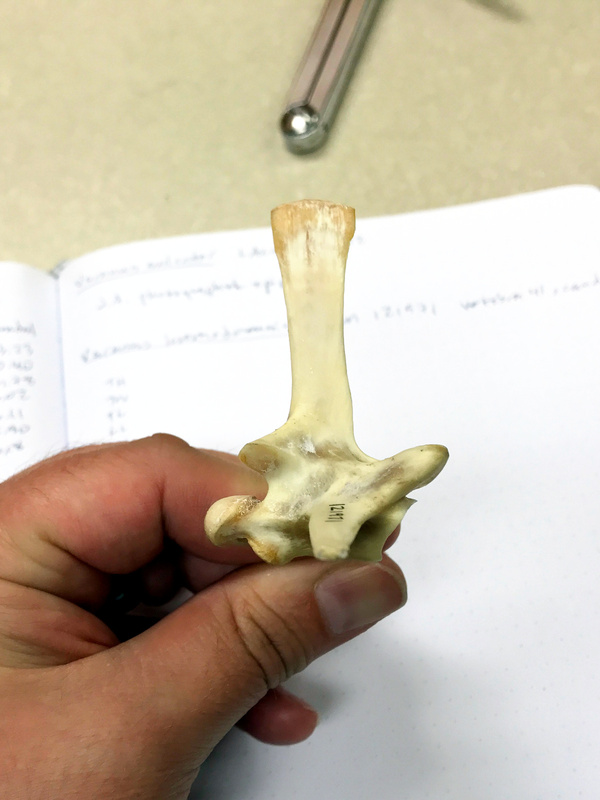 I am still building up to a big post on vertebral orientation, but in the meantime, check out this caudal vertebra of a Komodo dragon, Varanus komodoensis. This is right lateral view–the vert is strongly procoelous, and the articular ends of the centrum are really tilted relative to the long axis. I find this encouraging, for two reasons. First, it helped me clarify my thinking on how we ought to orient vertebrae, which Mike wrote about here and here. 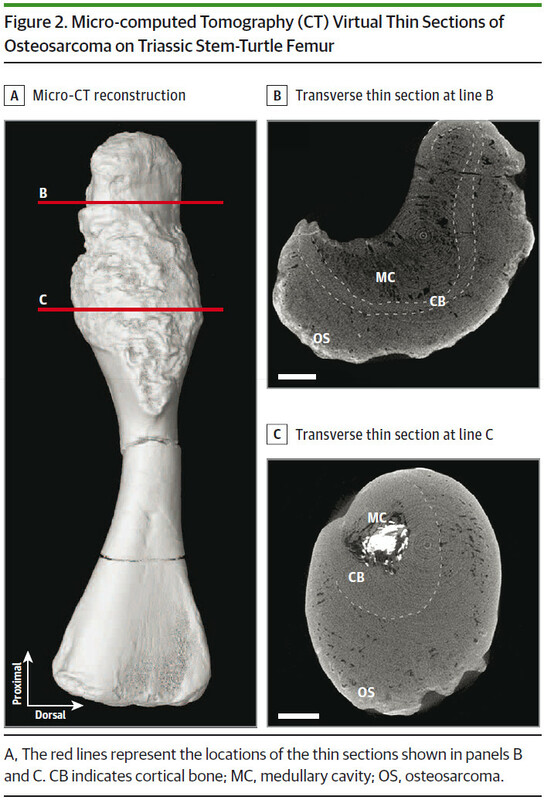 And second, it gives me some hope, because if we can figure out why tilting your articular surfaces makes functional sense in extant critters like monitors, maybe we can apply those lessons to sauropods and other extinct animals. This is LACM Herpetology specimen 121971. Many thanks again to Neftali Camacho for access and assistance, and to Jessie Atterholt for basically doing all the other jobs while I was faffing about with this Komodo dragon. 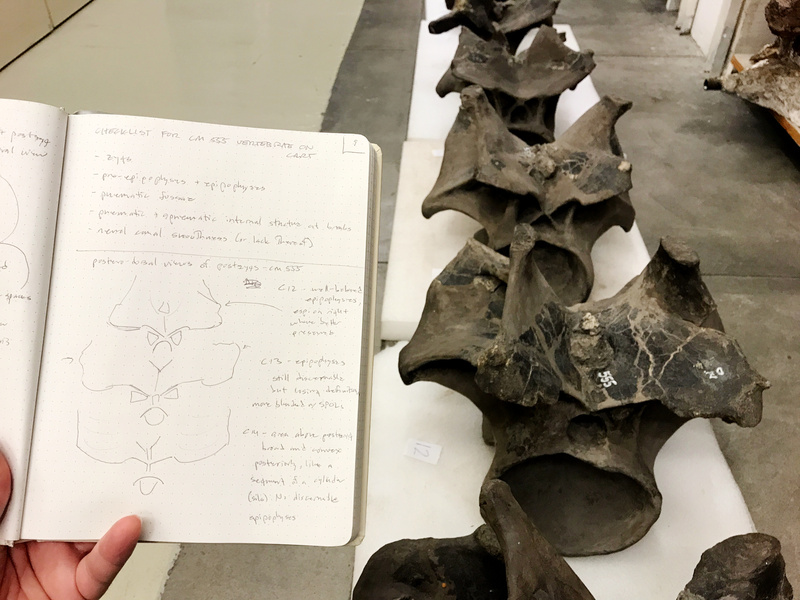 No time right now for me to dig into the interesting and important discussion on how we should orient vertebrae (here and here so far) – that will be coming soon. In the meantime, here’s something else. As printed, in one of WesternU’s 3D printers. Cleaned up and in my hand. 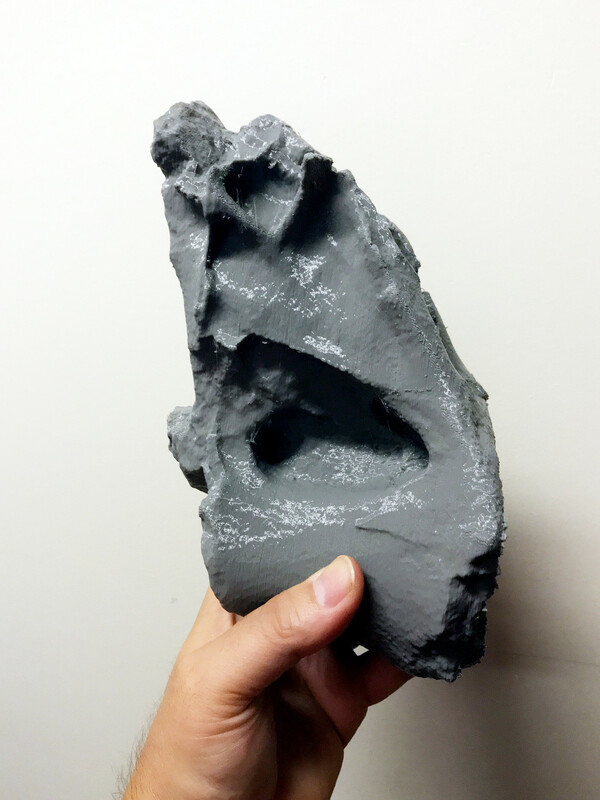 This is a 70% scale print, so a little smaller than the original, but all the important morphology is clear enough. For one thing, I can finally make sense of the dorsal views of the vertebra. I have been astonished at how useful a 3D print can be as an aid to thought. The caudals of the Snowmass Haplocanthosaurus are among the smallest sauropod vertebrae I’ve spent a lot of time with, and they’re still heavy enough and fragile enough that I don’t just whip them out and twirl them around in my fingers. But I can do that with the 3D prints, and it really helps ram the morphology home in my brain. There are a thousand subtle things I might not otherwise have noticed if I hadn’t been able to turn those shapes over easily in my hand. 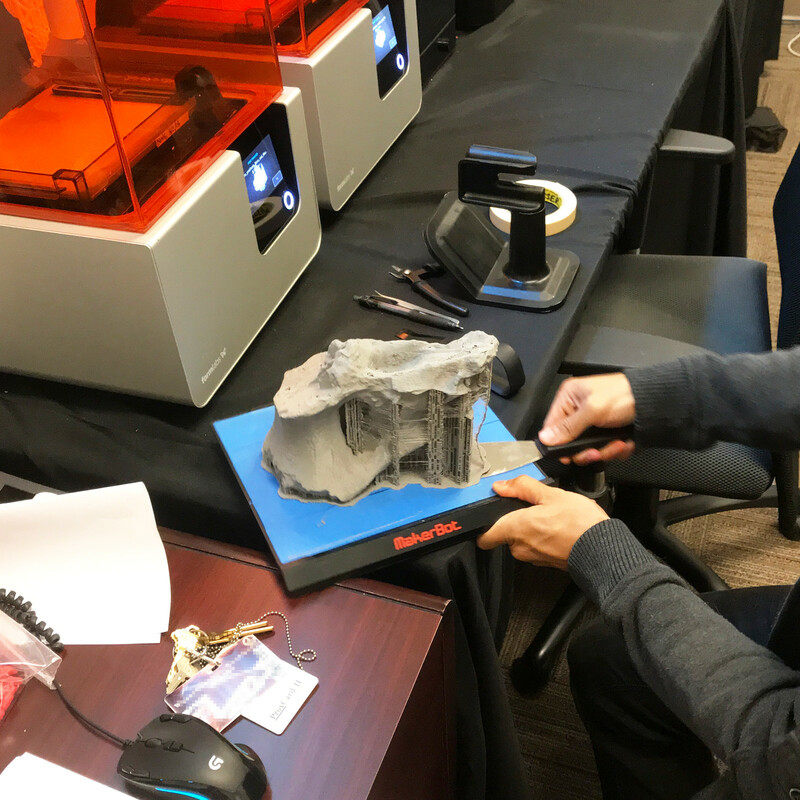 Not to mention the other things you can do with prints, like physically sculpt on them without gooping up your fossils (we’re midway through step #8 from that post, BTW). Anyway, back to Xeno. Mike reminded me that I have seen the actual specimen in person exactly once, very briefly during our 2005 visit to the NHM collections when I was over there for SVPCA. 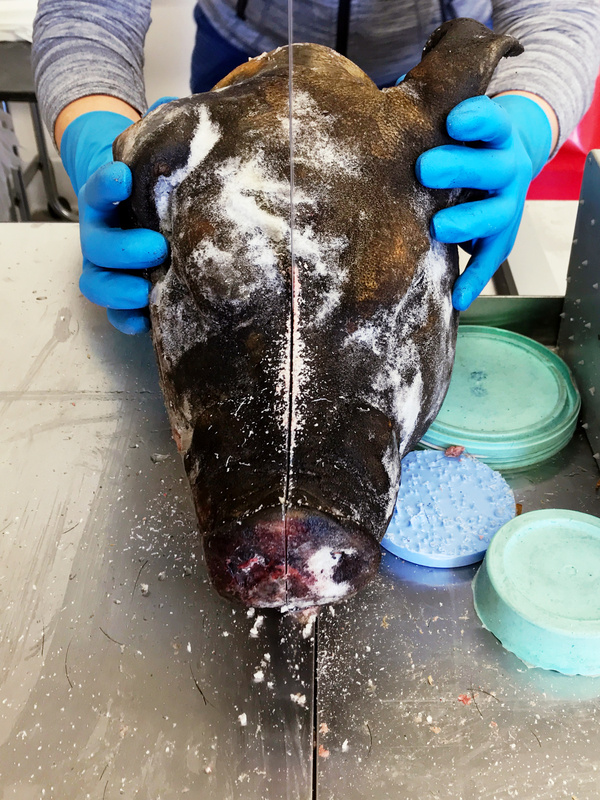 But it wasn’t Xeno yet, and we had other fish to fry, including a lot of pneumatic and possibly-pneumatic stuff for me to see and photograph for my dissertation. So I have to admit that it didn’t register. 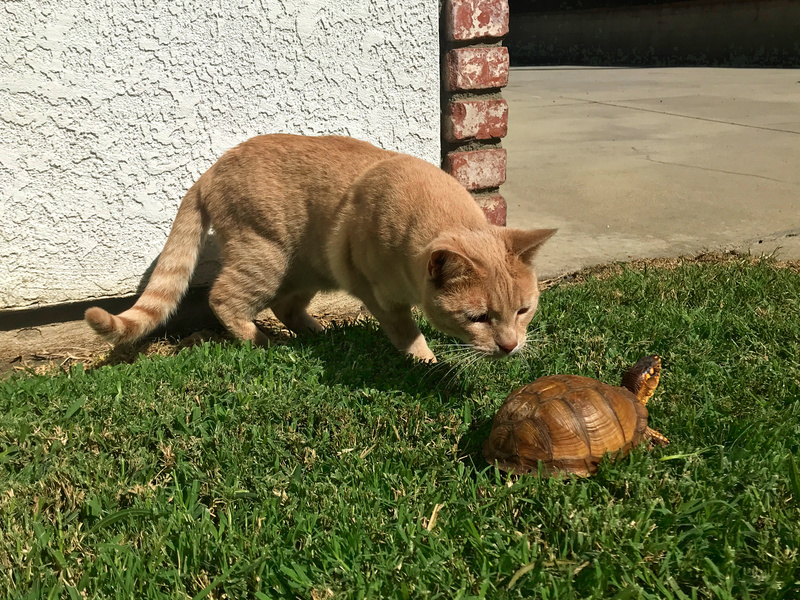 Being able to handle it now, so much that Mike has written about it snaps into focus. Not that his writing isn’t clear, there’s just a huge gulf between the best written description and holding a thing in your hands. Why do I have this thing? Partly to educate myself, partly because it’s relevant to a current project, and partly because we may not be done with Xeno. Stay tuned. Many thanks to Gary Wisser for setting up the print, and to Jeff Macalino for pulling it for me. We don’t post on pterosaurs very often, but I’m making an exception for Caelestiventus. Mostly because I had the unusual experience of holding a life-size 3D print of its skull a few days before it was published. 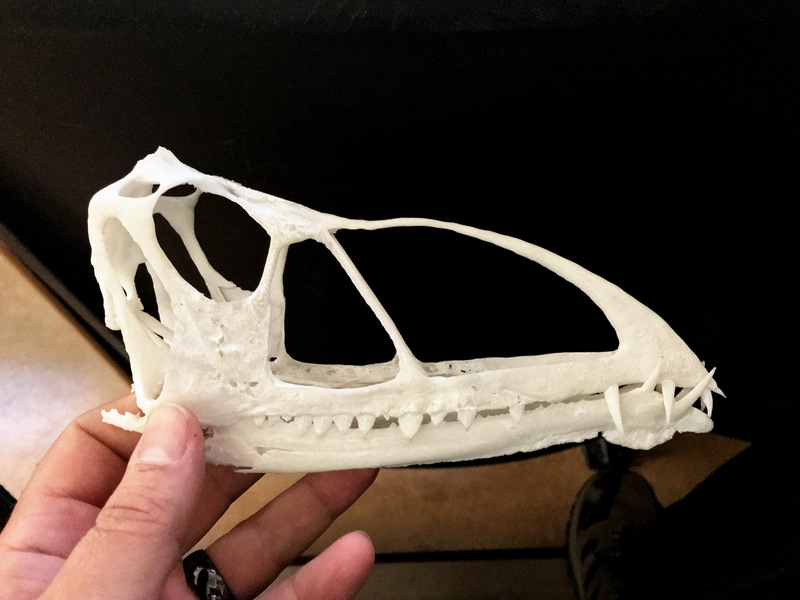 Brooks Britt and George Engelmann are both attending Flugsaurier 2018 in Los Angeles, and Brooks gave a talk on the new pterosaur on Friday. It’s from the Upper Triassic Saints & Sinners Quarry in far northeastern Utah, which has also produced theropods, sphenosuchian crocs (like 80 individuals to date, no exaggeration), drepanosaurs (I’ve seen the material and that paper is going to be mind-blowing whenever it arrives), and other assorted hellasaurs. Some of that material is figured in the Britt et al. (2016) paper on the Saints & Sinners Quarry (a free download from the link below). As far as I know, the Caelestiventus paper is the second big volley on the Saints & Sinners material, out of what will probably be a long stream of important papers. 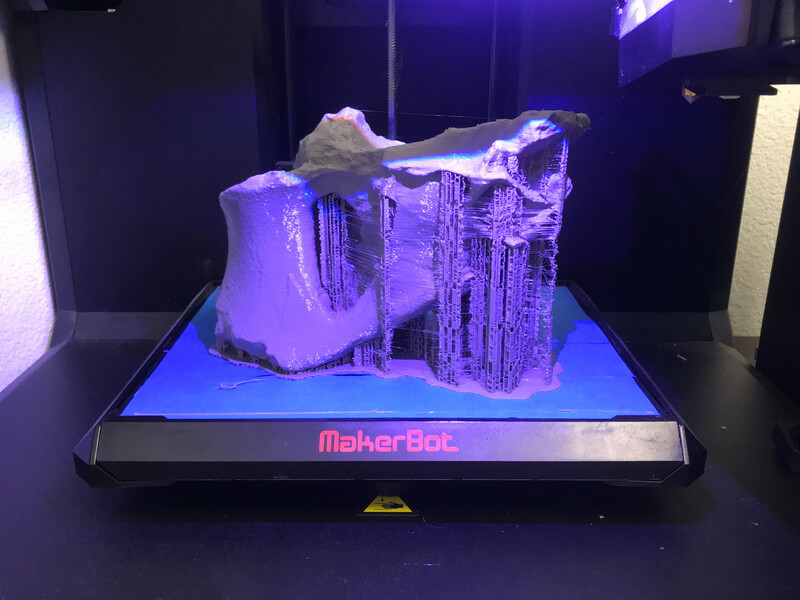 Anyway, since we’ve just been discussing the utility of 3D printing in paleontology (1, 2), I thought you’d like to see this. Brooks did caution us that the 3D model was a work in progress, and he now thinks that Caelestiventus had a more convex dorsal skull margin, with the downward forehead dip in the version that got printed being less prominent or absent. You can see a slightly different version in the skull recon drawn by second author Fabio M. Dalla Vecchia, which he kindly released into the public domain here. Otherwise the 3D print is pretty good. The big plate below the orbit is weird and from what I gather not present in other dimorphodontids. Because the Saints & Sinners material was buried in sand, which is relatively incompressible compared to mud and clay, it’s all preserved in three dimensions with essentially no crushing. Caelestiventus therefore yields new information about Dimorphodon micronyx, which has been known since 1859 but mostly from pancaked material. Stay tuned (in general, not here necessarily) for more on the remarkable tetrapods of the Sants & Sinners Quarry – the next few years are going to be very exciting. And since this may be my first and last Flugsaurier post, many thanks to the organizers for making it such an engaging and enjoyable experience, especially Mike Habib, Liz Martin-Silverstone, and Dave Hone. Britt, B.B., Chure, D.J., Engelmann, G.F. and Shumway, J.D., 2016. 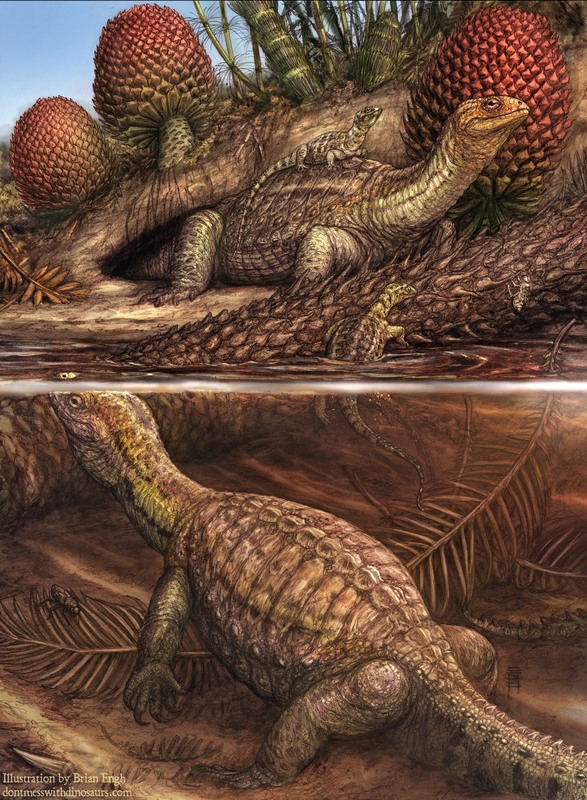 Rise of the erg—paleontology and paleoenvironments of the Triassic-Jurassic transition in northeastern Utah. Geology of the Intermountain West 3:1-32. Lots of museums have some version of this, but this is the nicest one I’ve seen myself. Just back from the field. Will post photos soon. Putting this up to meet the weekly posting requirement.